FREE Delivery & Removal as well as Price Matching*! 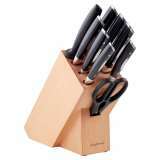 Best value is guaranteed when you buy the Global 79629 Teikoku Knife Block Set from Appliances Online. Trusted by over 350000 customers - Appliances Online Legendary Service! FREE Delivery & Removal as well as Price Matching*! 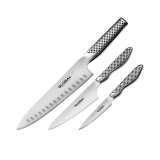 Best value is guaranteed when you buy the Scanpan 18189 10-Piece Knife Block Set from Appliances Online. Trusted by over 350000 customers - Appliances Online Legendary Service! 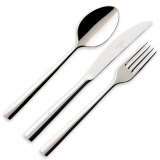 A range of cutlery that will complete your dinning setting or take-away solution.